Being that we’re in 2016, we all spend so much time in our offices at our desks. Sometimes by the end of the day, we feel like we have achieved nothing and aren’t overly thrilled about coming in the next day. We can help you! We can make sure your desk is set up for success. 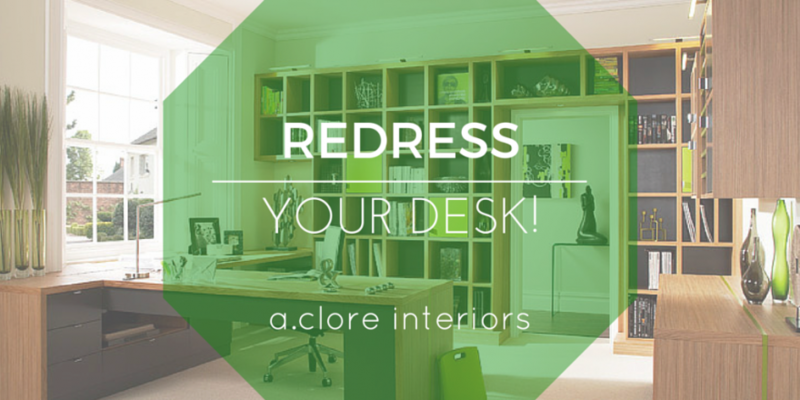 Your desk is the main item in your office and is where you spend the most time. Place it in the spot where you can see most of the room. This is known as the Power Position. Now, what goes on the desk and where is a little complex. When figuring out how to feng shui correctly, you need to use the Bagua. 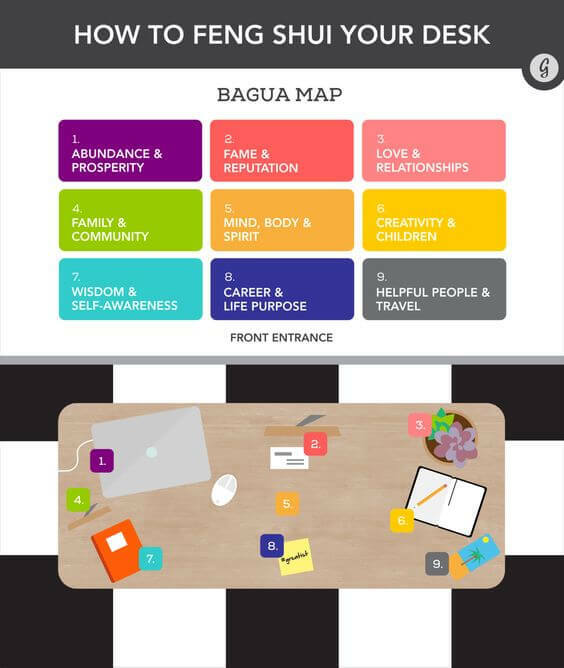 The Bagua is the central, typical set up of all feng shui. The placement is as follows: the bottom middle section (closest to your chair) is the Career section, the left-bottom corner is the Knowledge section, the left-middle side is the Family section, the left-top corner is the Prosperity/Wealth section, the top-middle area is the Reputation section, the right-top corner is the Love/Relationship section, the right-middle side is the Creativity section, the right-bottom corner is the Help section, and last but not least, the middle of the desk is the Health section. In the Career section, most of us will have our laptops or whatever you do your most work on. If you don’t have a job that requires such things, leave it empty. Keeping it empty is good luck to have work continue flowing in and filling that spot. In the Knowledge section, include a quality, small stack of books that are related to your profession. They’re there to keep you motivated and give you a hint of inspiration if need be. I think everyone can assume that you should place a picture of your family or friends you consider family in the Family area. It is a nice reminder of the relationships you care for. Now for some greenery! Place a plant in the Prosperity/Wealth corner. Plants have symbolized growth for decades, and there’s no reason to change that good energy now! Next to the plant is the Reputation area where you can put your name plate or some business cards. You can also fill this space with awards you have won. We covered the Family section, but what about the Love area? This is for strictly you and your significant other. It doesn’t have to be a picture. It could be a card they gave you or a little knickknack that reminds you of them. 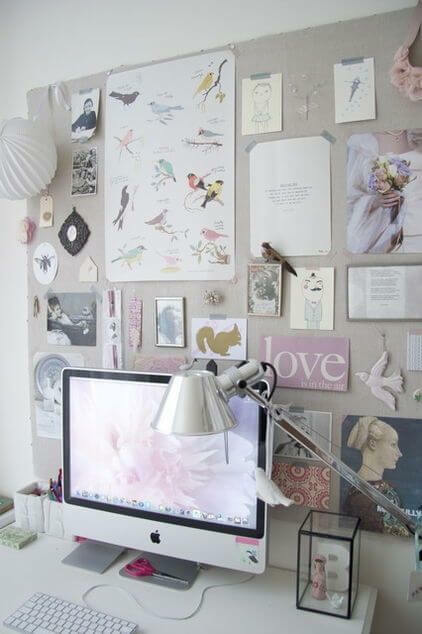 Get creative with that area, because it seems to be the most inspiring. Speaking of getting creative, place all of your supplies and accessories you need to be creative in the Creative section. Do your best to keep this area neat, too, or else, you won’t be able to find anything quickly! The bottom right-hand corner is the Helpful area. This is where you should be placing your phone, a contacts book, business cards you might need for reference. This is your personal “Phone A Friend” area. For the Health area, all you need to do is keep it clean and clutter free. Just as we keep our health in check, we should keep our Health area in check. We hope when you’re through you feel refreshed and inspired, and you can start every day of work with a smile on your face! 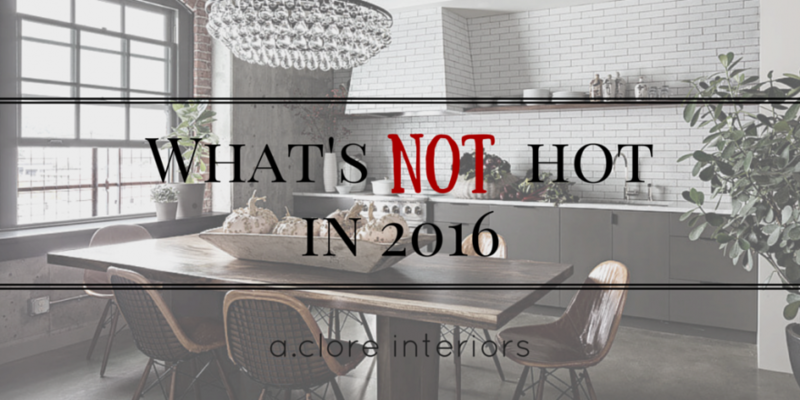 We are all getting a full load of which trends are hot in 2016, but what are the trends that should not be in our homes anymore? We’re here to save you from an outdated trend crisis! 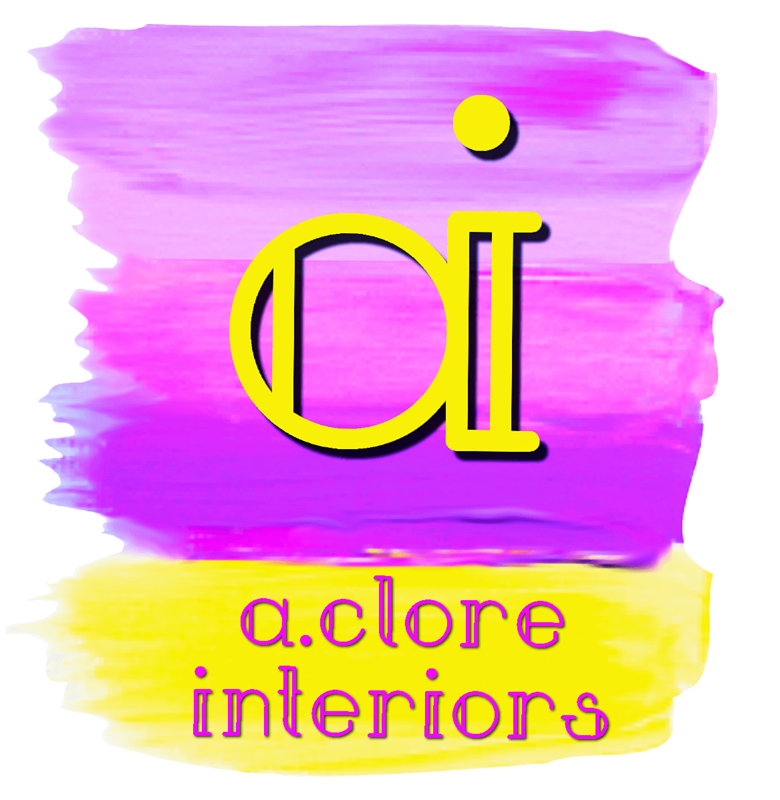 From certain patterns to a few color combinations, we will successfully make room for the new favored trends. First off, get the chevron out of here! We all should’ve retired it a little while ago, so if you still have chevron in your homes, remove it. All these geometric prints are being pushed out of our homes as well. Slowly but surely, we can replace them with newly coveted 2016 prints. Faux finishes and accent walls need to go! They don’t belong in 2016. Instead, we want our finishes to look new, fresh, and clean. No color washing, people! About these accent walls, we know you’ll miss them, but hey, if you really like that color, paint the whole room and tone it down with the furniture and decor. Problem solved. 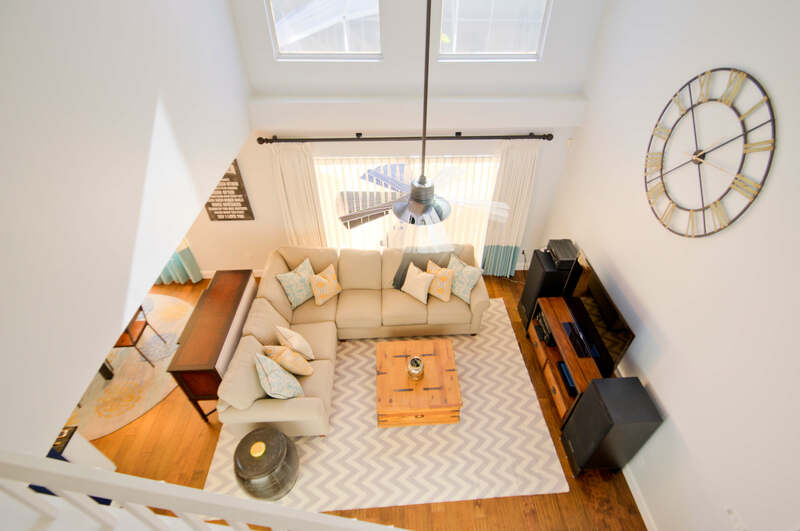 Your home will look updated and trendy, so there are no negative aspects to this trend going out of style. Let’s talk about these color combinations for a second. We know, once upon a time, brown & teal and maroon & gold went so well together, but how about we update them. Change it up a bit. Use one of the colors of the year with a neutral taming hue. We can definitely all agree, though, beige is out. Exchange it with a gray-influenced color palette. Anything but beige will do. As glamorous as mirrored furniture might look, it should really stay in 2015. Besides, how many times a day do you get distracted by treating it like an actual mirror? (We all do it. Don’t lie.) Change it out for white furnishings. It still gives off a chic, glamour look with no distractions. Now when it comes to words as art, there’s a way to do this in 2016, but using decals is not it. Take the decals down, and if you still really want words on your wall, print something from the computer and put it in a frame. This way, you can make it say whatever and look however you would like. Way more personal than the “Live. Laugh. Love” the majority of people have on their walls. 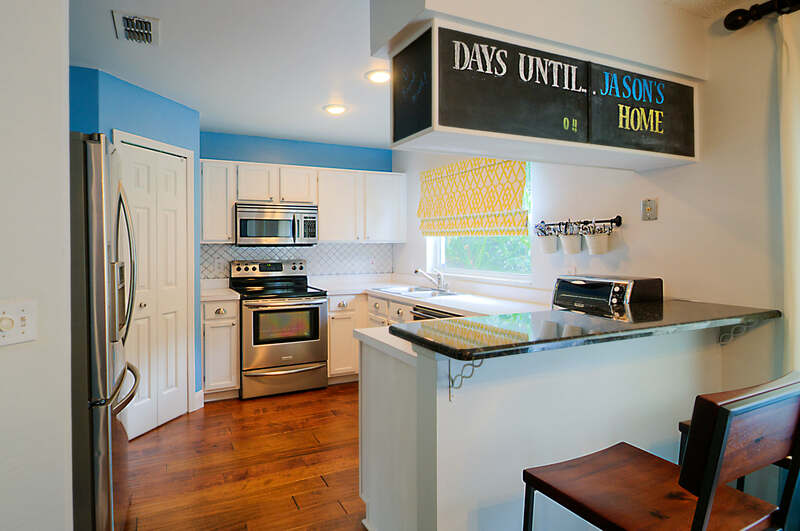 We’re finishing off with the kitchen. What exactly is the point of a kitchen desk? Don’t try to say to get work done, because who actually uses them for that? They just build up clutter. 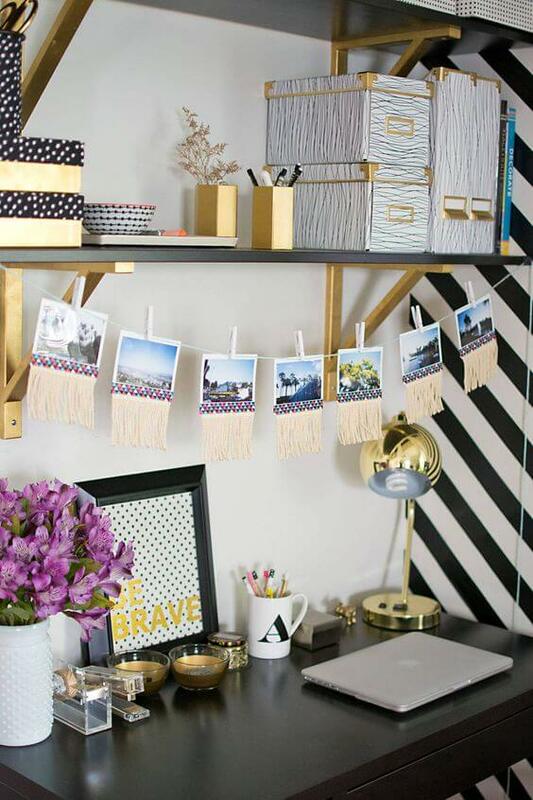 There are probably piles of your mail on your kitchen desk right now. 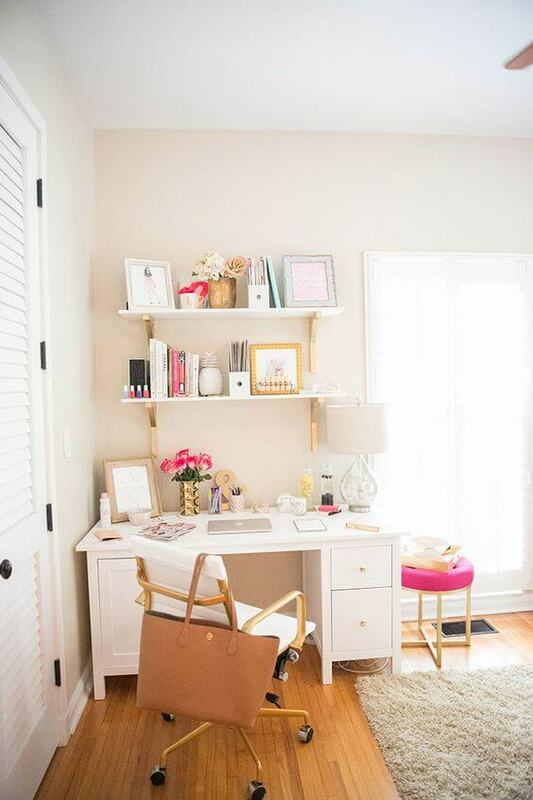 If you want to get work done, create yourself an office somewhere else in your home. 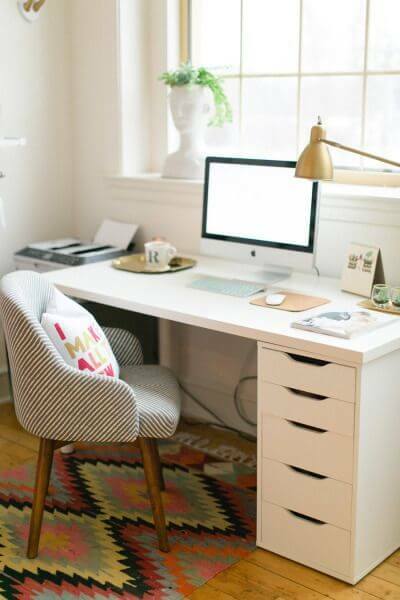 To get started, check out our Home Office Post for inspiration. Don’t have the room? Just set up a small corner area. This is the “working from home” year anyway. Now, over counter microwaves might throw off a few of you thinking, “well, where would I put it then?” Think outside the box. (See what I did there?) Build it into the bottom cabinets. Almost to make it out of sight. The best way to accomplish this would be to have a built-in microwave nook in the kitchen island. Okay, people. You have been warned! Don’t be caught making these decor and design mistakes. Step it up in 2016! This is going to be a great year!